Like most of us, my life course was “by chance not by choice” although I have no regrets. When I left Somerville High I went to Tufts and joined the Navy Reserve Officers Training Course and planned on a career. I left the navy after 9 years. I went into the transportation business in trucking from Office Manager to new terminal “opener” to National Account Sales to Regional Manager. After that I would up teaching a training school for merchant marine officers and retired from there. I have lived in Toledo, OH for 32 years but have lived in Newport, RI, Honolulu, Little Creek VA, New Orleans, LA, Oakland, CA, San Francisco, Omaha, NE and Portland, ME and finally in Toledo. All great places to live but this is home now. 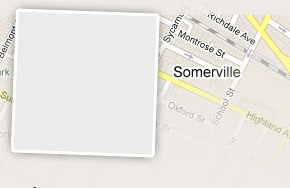 I have lived here longer than Somerville.